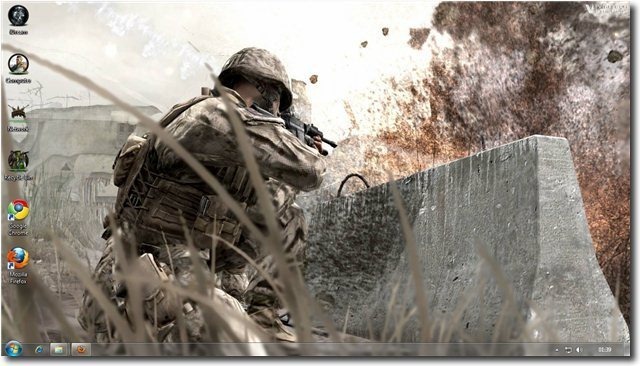 Call of Duty – Modern Warfare 2 is an intense, action-packed and exhilarating game which is a follow-up to one of the most acclaimed shooters of all times, COD – Modern Warfare. The game flow is smooth and exiting, thanks to sharp shooting and movement mechanics that allow you to be as quick and deadly as your skills permit. The campaign picks up where its predecessor left off, and there’s a new violent ultranationalist terrorist on the scene. 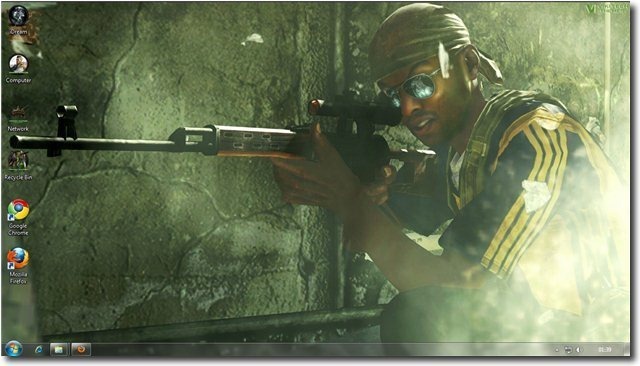 Once again, you play as a few different soldiers who are part of the effort to make the world a safer place. 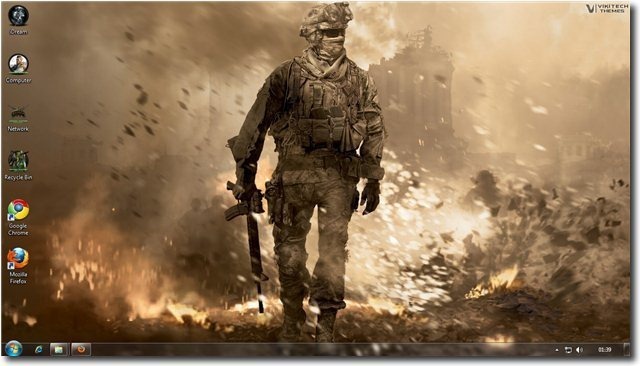 Bring the same action packed experience to your screen with our COD – MW2 Windows 7 Theme. 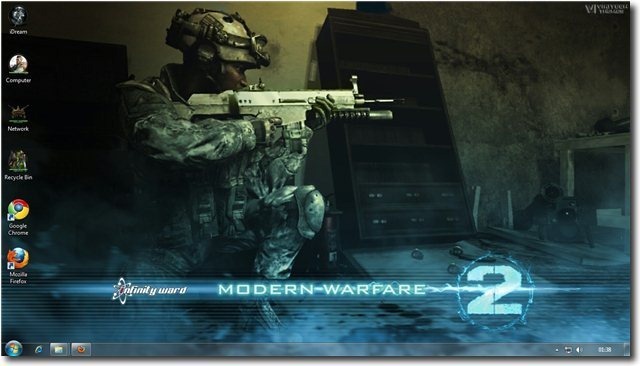 The Call Of Duty – Modern Warfare 2 Windows Themes consist of 25+ HD Wallpapers, Custom COD Icons and select game sounds. 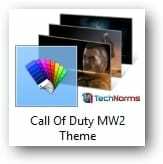 If you are a COD fan, this is a must have theme for you. We here at TechNorms love this one. These are just a few of the Wallpapers you would get with this theme. 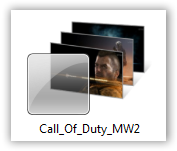 When you apply the COD – MW2 Windows 7 Theme on your desktop, the same old boring desktop icons would be replaced by custom Call Of Duty – Modern Warfare Icons. 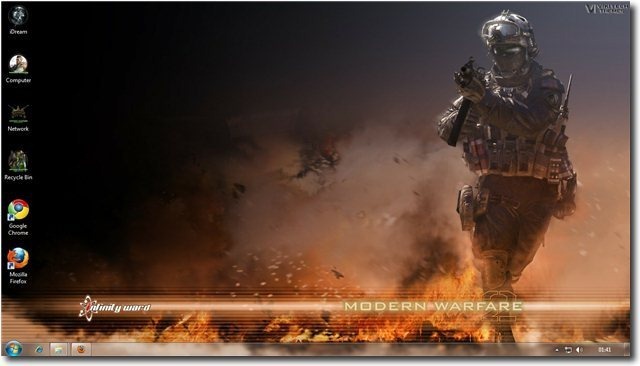 We have selected some of the best Quotes and Music from Call of Duty – MW2 to go with this theme, for a complete COD experience. You can hear them while applying the theme as well as starting or shutting down your computer. 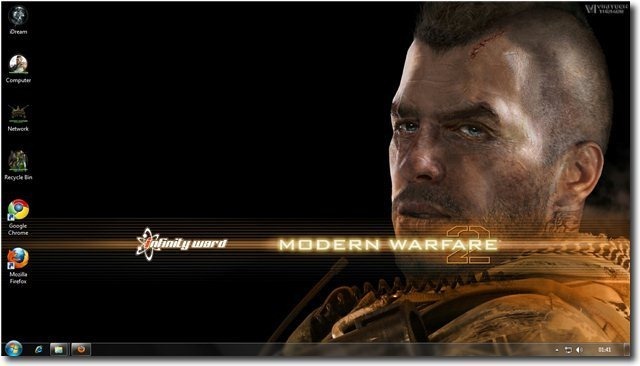 Click here to download the COD –MW2 Windows 7 Theme for your Desktop. 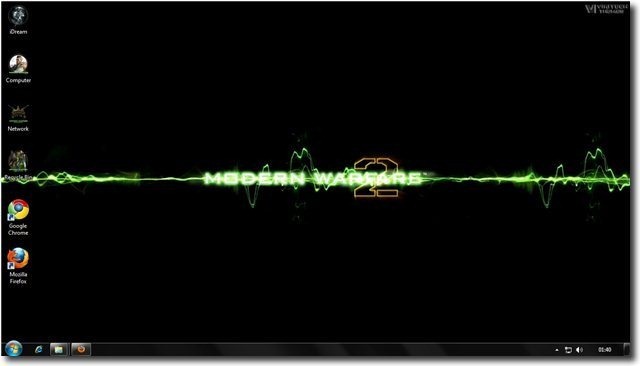 Call of Duty: Modern Warfare 2 is the first Call of Duty sequel that actually refers back to a previous game. All other games in the series have focused on different battles or events. 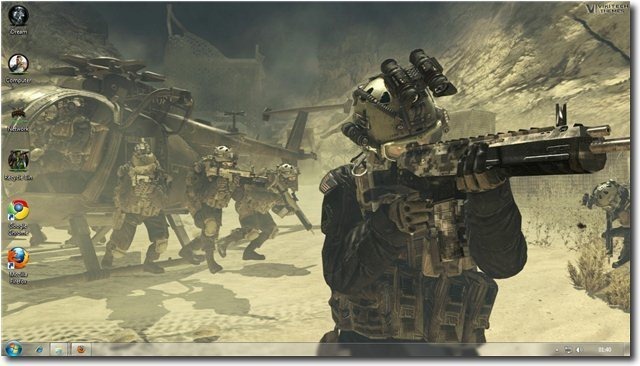 Modern Warfare 2’s sales currently exceed one billion dollars. When you reload guns in this game, the magazine is thrown away, but the ammo still in it is not lost. 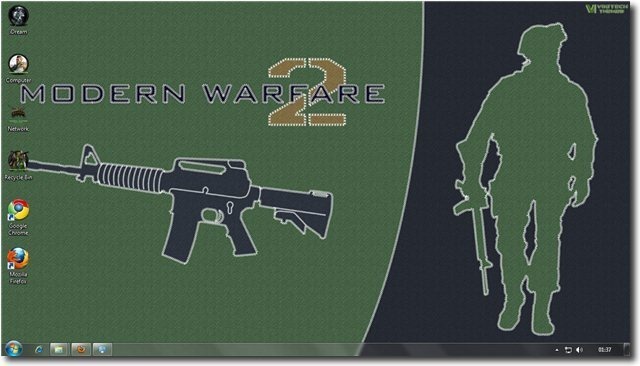 Some car license plates read “IW20094” referring to Infinity Ward, the makers of the game, 2009, referring to the release date, and 4 as the fourth installment of Infinity Ward.